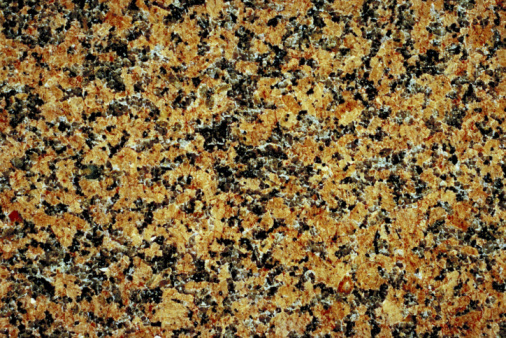 Granite is an attractive surface commonly used in bathrooms and kitchens. However, continuous exposure to hard water can result in build-up, leaving unattractive lime deposits. Luckily, you can clean lime deposits off of granite in with little effort, using common household items. These methods will leave your granite looking new and prevent future lime deposits. Soak a paper towel in vinegar. Place it on the lime deposit and allow it to sit for at least 10 to 15 minutes before removing. This will soften the lime deposits and make their removal easier. Scrape the softened lime deposits off of the granite using a single-bladed razor. The razor will effectively remove the bulk of the lime deposits without damaging the granite. Scrub any remaining granite away using extra-fine steel wool. Scrub gently to avoid damaging the granite. This will remove any lime deposits that were passed over by the razor. Create a paste of two parts baking soda to one part water. Use an old toothbrush to rub the paste into the granite where the lime deposits were removed. The paste is fairly abrasive and will remove lime deposits from nooks and crannies that the previous methods missed. Apply a generous amount of 3-in-1 Granquartz to a clean cloth. Rub the mixture over all areas that lime deposits have formed, or any areas where they may form in the future. The cleaner will clean away any residue or debris and also help seal the granite and prevent lime deposits from forming in the future. Rinse away with cold water.